Summary: Before you purchase a toothbrush, read our suggestions on what type of puppy toothbrush to start out with for your puppy. Shopping for a Puppy Toothbrush? Since dogs are not roaming wild and have become our best friends, we now have the responsibility for there well-being. They have need for dental care. Bad breath is awful and especially if it comes from your dog. Your dog’s dental care is important and it can be easy, fast and a rewarding experience. 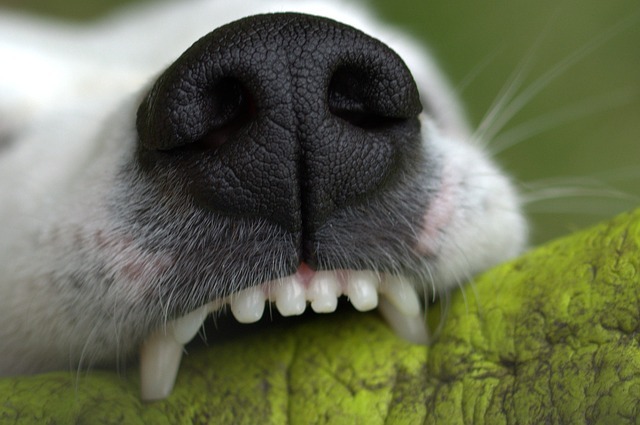 Tooth decay can affect your dog just like it can with humans. This could lead to increased health care costs for your dog. There are many kinds of dog toothbrushes out on the market. They came in all colors and styles. There are traditional looking dog toothbrushes. There are dog toothbrushes that fit on your finger. There are even electric dog toothbrushes. Most of the people that are using the electric dog toothbrushes claim they would not use anything but the electric ones. Now there is even a dog toothbrush that the dog uses by himself. Important: Your dogs teeth should be cleaned at least twice a week for proper dental care. Most veterinarians and breeders recommend that you begin using the finger dog toothbrush with puppies. The finger toothbrush fits right on your finger and is very simple to use. It has gentle bristles and is fairly unobtrusive making it a great starter dog toothbrush. The finger puppy toothbrush we would recommend is the Nylabone Advanced Oral Care Finger Puppy Tooth Brush . Because of its design, you’re able to reach hard to access areas where plaque and tartar like to hide. With so many kinds of dog toothbrushes to choose from, consider the size of the brush to the size of your puppy’s mouth. Consider the length of the handle and the angle of the bristles. Make certain it is easy to use and clean. You will probably just have to experiment to find out which dog toothbrush you and your dog prefer. Two top reviewed offerings from Amazon are listed below (Nylabone Advanced Oral Care Triple Action Puppy Dental Kit & Two-piece Dog Toothbrush Set ). Doggie Doors: Is it Necessary to Have a Doggie Door? Dog Health Insurance: Do I Need It? Puppy Neutering: Should I Have My Puppy Neutered? Can’t you just use a standard electric toothbrush designed for people. I think i would use a separate one not just a different head.